In 2018, we held 3 dim sum lunches at Jasmine Place in Central. We had a diverse range of attendees, including an entire table of Adult Adoptees as well as parents and waiting families and we've found there is a BIG table for the tweens and teens. We look forward to this new social event in our calendar. The 1st dim sum lunch for 2019 is on May 5. 7 meetings were held in 2018. 5 were in English and 2 in Cantonese. We decided to do something a little different last year, and changed our Annual Holiday Party to a Holiday Dim Sum Lunch! 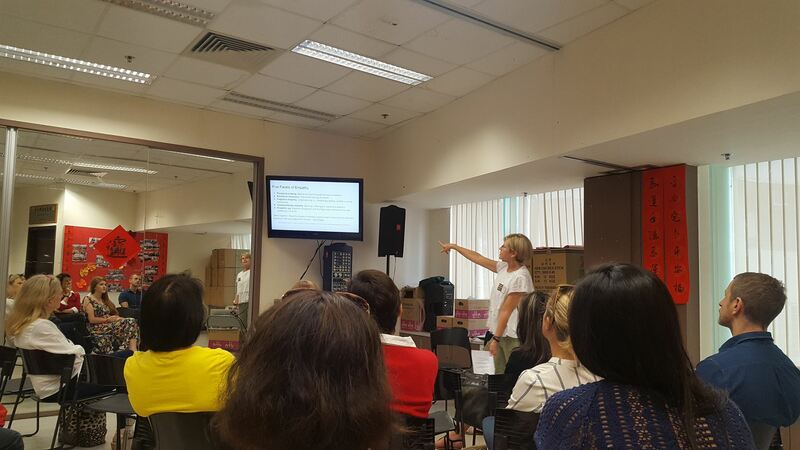 This was held at at Jasmine Place in Central, and fun was had by all that came along. 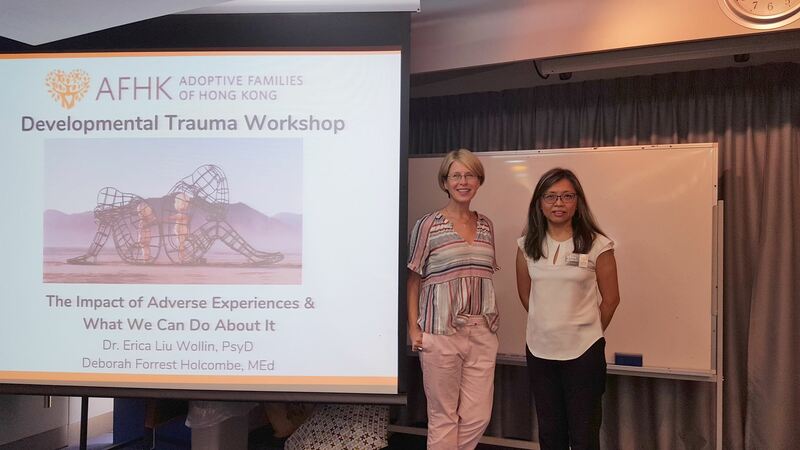 Our annual professional workshop, Developmental Trauma: Implications for Heart, Mind and Body, was held in June, and was facilitated by Dr. Erica Liu Wollin and Deborah Holcombe. 74 people registered for this full day event and we had a 92% attendance rate. The feedback from the workshop was extremely positive [with most attendees choosing a 3 or 4 out of 4 for all categories in our feedback questionnaire. The Trauma workshop for 2019 is scheduled for Friday, May 31, 2019. In August, we held our 2nd fathers' only event, How Dads Can Make a Difference: Supporting Kids in Self-Regulation, facilitated by John Shanahan. 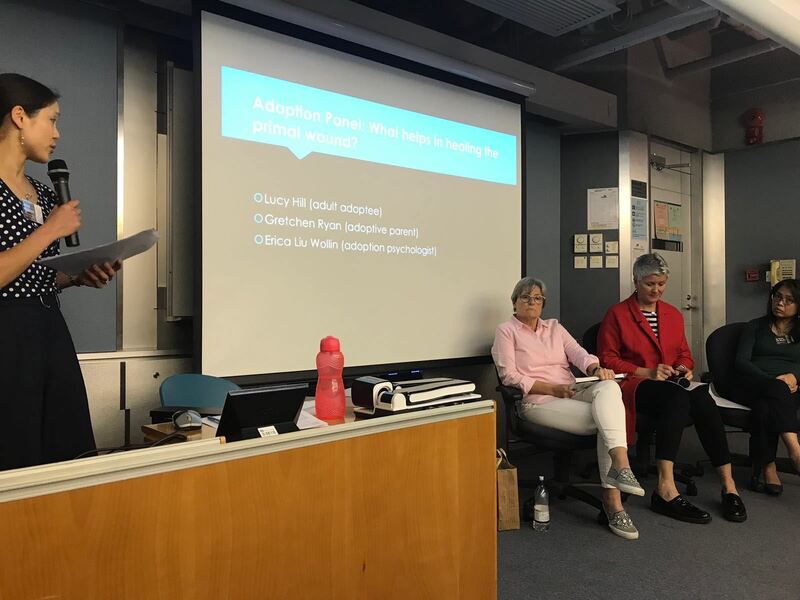 Again, we were pleasantly surprised and delighted to have high attendance and feedback from our attendees was so positive that we have decided to run a similar event annually.